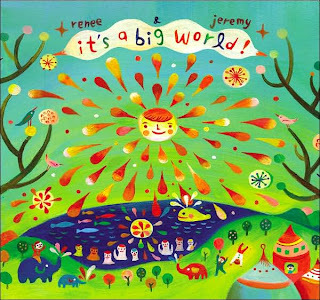 Renee & Jeremy ~ CD Review and Giveaway!!! 2 winners!!! This is my first review and giveaway! When thinking about the process, I decided that my first review would be of a product that I already love, use and believe in. I have a long list of things that fit the bill, but the first thing I thought of was the wonderful music of Renee and Jeremy. I hadn't either. My Mom introduced me maybe a year ago, just by playing their music in her home. I liked it but it didn't stick until driving back from the lake with my sister. We had three cranky, over sunned kids in tow- all bickering with each other. "He's touching me mom!!" My sister popped in Renee&Jeremy and instant calm fell over the back seat. Which meant an instant calm up front too. Picture this - a bright sunny summer day, green Indiana skyline, three calm summertime kids in the backseat, flip-flops all around and a sister belting out this kids music like it was her favorite radio song! I was hooked. I got a CD of my own and it has been a staple in our home ever since. The main thing I want to point out about this music, is because it is good music, it can be enjoyed by everyone. You know some children's music is shut off as soon as the kids are gone. Another thing to point out, is that it works well for playtime. Flowing and happi but conducive to naturalized play. It also works well for sleeptime. Lulling and warm - off to sleep they go. I was talking to my Mom about this aspect of their music and I figured that the music reminds me of a down comforter - Lofty to keep you cool in the summer & warm in the winter. Mom says that's how natural materials are, they work with you. That how Renee&Jeremy's music is too - it works with you. So I've determined Renee & Jeremy is "natural music". Songs that remind me of stuff that would roll off the top of my head when singing my little ones to sleep, only professional. It's real Mommy & Daddy love songs to children. If you didn't know it was made for children, you'd probably still like it. I'm sure you're going to love it. The real Jeremy, as my son put it, has graciously offered two lucky readers their very own Renee&Jeremy CD! To enter just head over to Renee & Jeremy! take a look around and tell me which song you like best & why. Please leave a separate comment for all that you do, as each comment is your entry. Six entries available in total. Make sure I have a way to contact you in case you win. Contest runs from Tuesday Jan. 13th thru Tuesday Jan. 27th at 12 noon EST. Winners will be contacted via e-mail same day. Good Luck to everyone!!! I really like "Welcome To This World". Sounds like music I would be listening to, not just for kids! Love their web site too, especially how they have the lyrics to the songs. If I don't win, I definitely have to go out and buy a copy for my daughter. Great giveaway! I'm following you now! Watch out! I like "Welcome to this world". This is a great CD thanks for sharing it! Oh my goodness. Yes! I have heard of them. I ran across them on CD Baby awhile back and thought to myself, now I really like this music. I should buy the CD. Then, I forgot about it until now. "Sleep My Love" is my favorite currently...I wish my one-year-old would sleep better. Maybe he needs this! Thanks much! What a lovely cd I really liked the song shoorahlaywho, its just a nice relaxing song! My niece loved its a big world because she loves telling everyone she's big! Thanks for entering me! I like 'welcome to this world' as well as the rest of them. My little guy was sitting listening to the songs with me and swaying back and forth. He's just 16 months and it was too cute! I like We are One. Thank you! I stumbled in from Prizey. Adorable website. I think my child and I would like Sleep My Love. We would enjoy listening to this as we nap together. Thanks. I love the night mantra; it is so peaceful and calming. I think you are right about this being natural music! I love We Are One! I love Night Mantra because of the lyrics. I think the lyrics are really soothing. What amazing songs, I love the falling star lullaby. It would be perfect for night time, it's so sweet! The song "we are one". What wonderful music. I really liked night mantra. The girls love to listen to music when they go to sleep. I'd love to play this for them. I love the Miracle. So calming. I love the lyrics. My little ones would really like this one. I like Falling Star Lullaby. I like it's a big world. Thanks! Three Little Birds is my favorite -- it's always been a fav of mine -- love this version. I like Welcome to this World, thanks. Welcome to this world, is a great song and i wouldn't get sick of it very quick. great music and thanks for the giveaway!! I really liked the sound of all of the songs, but my favorite was the falling star lullaby. Thanks for the chance. I like "three little birds". I already liked that song, I think it is good for kids and it make me happy! I like their version of it. So sweet! Thanks so much for sharing this great music with us!! I loved the song "Miracle"- so sweet!! I love the song "Welcome to this world"! It's so sweet, but the phrase that really gets me is when he says "Welcome to this world, whether you're ready or not," because my son was a preemie. It was pretty scary & we didn't know what would happen to him, but God took care of him & knew he was ready for this world, even though we didn't know if he was ready or not. I like the miracle song because it is so calming and relaxing. I like Powder Blue Reprise - lovely imagery and blue is a favorite color of my daughter's - in honor of her blue eyes! Welcome to This World just puts tears in my eyes. It's what I felt like when my own quickly growing children were babies. And now that my SIL is expecting her first child, I'll be recommending that she listen to it as well! Three Little Birds was my favorite. It was just so soothing. Thank you! "Sleep My Love" sounds relaxing. I follow you on twitter,and I tweeted. Sleep my love was precious! Loved it just because of the words alone! I loved the song "Shoorahlaywho" beautiful relaxing song. What a great Giveaway! 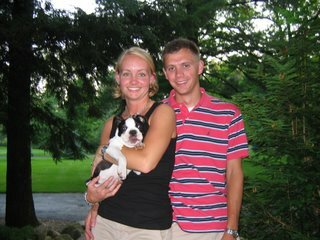 I love Renee and Jeremy! Dazzling! I love following you on TWITTER....username leahita. And, I TWITTERED about this fabulous give~away. Let's go with 'welcome to this world'. I would say Welcome to this World... always looking for new music for my preschool class. Welcome to This World, very nice comforting fun songs. I love the song "We Are One". with their voice and lyrics. I enjoyed listening to "We are One". I work with children from all around the work teaching them English. This would be wonderful music to play for them. Thanks for this chance. I love three little birds because it's so soothing and calming! I love miracle. It says exactly what I thought when my little one was born! Great harmony without overpowering. Thank you! I love the Falling Star Lullaby! I am always looking for a new wonderful Lullaby to sing to /with the kids to calm them down at bedtime!